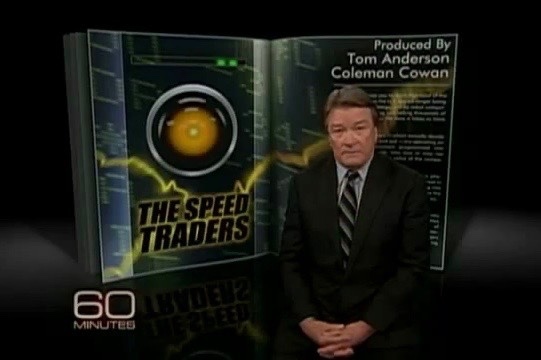 Steve Kroft gets a rare look inside the secretive world of “high-frequency trading,” a controversial technique the SEC is scrutinizing in which computers can make thousands of stock trades in less than a second. Tom Anderson and Coleman Cowan are the producers. These supercomputers – which actually decide which stocks to buy and sell – are operating on highly-secret instructions programmed into them by math wizards, who may or may not know anything about the value of the companies that are being traded. It’s known as high-frequency trading, a phenomenon that’s swept over much of Wall Street in the past few years, and played a supporting role in the mini-market crash last spring that saw the Dow Jones Industrial Average plunge 600 points in 15 minutes. Most people outside the industry know very little, if anything, about it. But the U.S. Securities and Exchange Commission and members of Congress have begun asking some tough questions about its usefulness, potential dangers, and suspicions that some people may be using computers to manipulate the market.